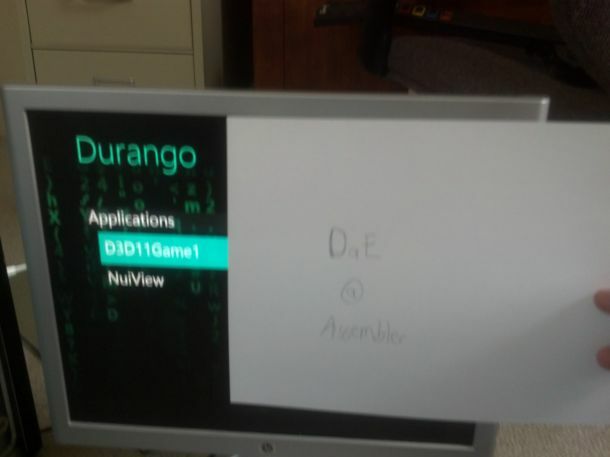 New information has come to light this week on the XBOX 720 developer kits codenamed "durango". The development kit is described as "an anonymous-looking black box" that has many parts in common with standard gaming PCs". It's placeholder dashboard contains the name Durango, a word that has long been rumored as Microsoft’s codename for the next Xbox. The dashboard’s two options are D3D11Game1 and NuiView, described as "a simple tool for rendering camera views and data from an attached kinect peripheral." Kinect functionality is a logical inclusion for the dev kit, as upgraded kinect features have been heavily rumored. There are Reports that the most recent round of development kits were sent out in February, with Intel CPUs and an NVIDA graphics card. The kits sport 8GB of RAM (though other sources say 12GB) and have a 64-bit operating system. Job postings on Microsoft's careers site indicate that the company is working on bringing Skype to the Xbox platform. 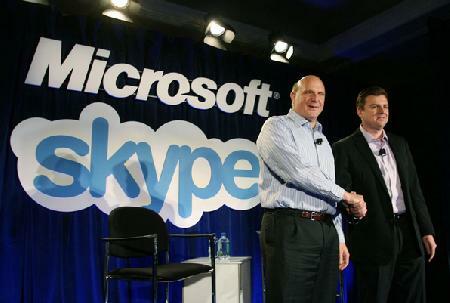 One particular job posting at Microsoft this week hints at the future of Skype's integration into the Xbox. Microsoft says it is "focused on enabling amazing new in-game and in-console voice and video experiences for the next generation of Xbox," indicating that the type of Skype functionality on the company's next Xbox hardware could go deeper than a separated app. It's not clear from the job posting whether existing Xbox 360 consoles will receive this type of Skype integration as the listing notes "it is time-critical given the hardware lead times involved." Since buying Skype for $8.5 billion last year, Microsoft has expressed plans to integrate Skype into Windows Phone and its other services, and just this week we saw job listings for development of a Skype web app. Of course, the Xbox 360 has its own options for video chat via Kinect or the Live Vision camera, but Skype integration would certainly be welcome — the PSP comes with a Skype client built into its OS as standard, so it wouldn't exactly be unprecedented, either. The first Xbox 720 (Durango) devkits have already reached a select number of developers and are rumored to feature a "monster" 16-core IBM PowerPC CPU, a GPU comparable to the AMD Radeon HD 7000-series, and a Blu-ray drive. Recent comments from Bungie point towards a Christmas 2013 release for Microsoft's next-gen console. It looks like the Xbox 720 won't be hitting shelves until 2013, at least if Halo developers Bungie are to be believed. The masterminds behind Master Chief are working on a brand new game called Destiny – which is set to be launched on both the Xbox 360 and Microsoft's next-gen console the Xbox 720 (codename Durango) in 2013. 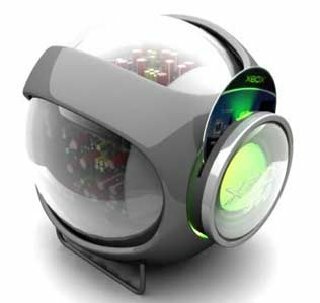 That plays into earlier reports that the Xbox 720 will be released at some point in 2013 – most likely around the November mark in time for the Christmas period. Spotted by the LA Times in a developer contract, Destiny will be a Massively Multiplayer Online (MMO) sci-fi first person shooter, with four titles planned for the series. A Halo/World of Warcraft mashup perhaps? A PlayStation port of the first title is also being considered in 2014, a year after its release on the Xbox 360 and Xbox 720. It's still far too early to tell what Bungie is going to spring on gamers itching to wrap their trigger fingers around an Xbox 720 controller – but we expect great things from the creators of Halo, so stay tuned. According to vg247.com the next Xbox, reportedly codenamed Durango, will have a Blu-ray drive and require a constant internet connection. This measure is thought to be an anti-piracy measure, but it could also be used to combat the used-games market. The site claims that "multiple sources" have confirmed that the console will contain two GPUS, with one saying, "It's like two PCs taped together." The graphics cards are rumoured to be equivalent to AMD's 7000 series GPUs, but are "not CrossFire or SLI". Also there will be “four or six” cores to the Xbox 720 CPU, one of which will be reserved for Kinect and one for the OS. The report also mentions Christmas 2013 as a possible release date for the console and that it will have Kinect 2.0 built into the device. Dice claims Battlefield 3 not only capable of pushing PS3 and Xbox 360 to their limits, but if the next Playstation or Xbox system came out tomorrow, they have plenty of juice left in the game and its engine to dial its graphics up even further to take advantage of those next gen systems. Dice says Battlefield 3 will push both the 360 and PS4 to their absolute limits. DICE executive producer Patrick Bach told CVG that he was confident BF would be "if not the best-looking console game this year, up there with the competition". Dice is not nervous about the next generation of gaming systems but rather looks forward to them, they feel their new frostbite engine is more than ready for the new systems. As for those next gen consoles, it has been confirmed PS4 is already in the works and expected to hit the world sometime between 2012 and 2014. No word on a new Xbox as of yet. 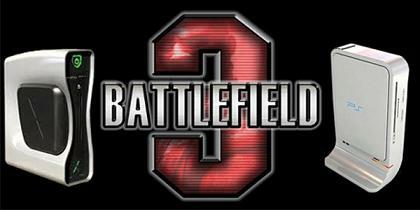 Check out our BF3 section: HERE! Xbox 720 is the pre-announcement accepted name for the next Xbox. Xbox 720 is by no means the name of the next system, nor is it even suggesting that there is a new system in the works even. In my mind, Microsoft has got to be working on the Xbox 720. They are slowly losing console sales and the wii is completely dominating the markets. With an upgrade like the Xbox 720 there would be a huge boost in the Microsoft stock. The Xbox 720 will have a lot to live up too however. They will need a motion sensing system like the Wii, they need to use Blu-Ray discs, and it needs to be powerful, yet affordable. Something the PS3 was unable to master. Playstation hasn’t even profitted off of the PS3 yet. That’s not good. Why should they update now? Well, personally the Xbox 360 is slowing down. If they came out with the best system they’d dominate the market. They already have the best online gaming system. The Xbox 720 could be a dominant system well into 2015 even. There are some photoshopped ideas of the Xbox 720, but none of them are likely legit. Believe it or not, new systems are generally not a good thing for the companies. The PS3 loses money for Sony when they sell. They make it back in games hopefully. The Xbox 720 would require such advanced software and components that not only will it cost us a lot to purchase, the Xbox 720 will have to sell well below market value to even be close to being competition with the Wii. To wait or be the first? That’s a tough decision for Microsoft. It could be the difference between a huge profit or lost money. What do you guys think? Should they come out with the Xbox 720 if one came out in 2009?